When I think back on 2012, there are a few obvious events that come to mind. It was the year we started homeschool, the year my husband Fred nearly died from a tumor, the year my daddy joined our God for eternal rest, and the year we realized how severe Amber's anxiety truly is. Still, there was so much more to this year than those events that lets us define it as one of the best and worst years we've had. Just about one year ago today we decided to eventually homeschool Amber for 5th grade after she finished 4th grade at her Lutheran school. Little did we know that in a couple short weeks we would remove her from school in favor of immediate homeschool. The decision to homeschool Amber was one of the best we could have made for her and ourselves for the coming events in 2012. This year I also starting blogging our homeschool adventure. The purpose was to keep a record of this time in our lives, like a journal. I am terrible at keeping up a journal, so the hope was that perhaps I could keep the blog more up to date. So far, I've done a much better job than on any journal I've ever tried. 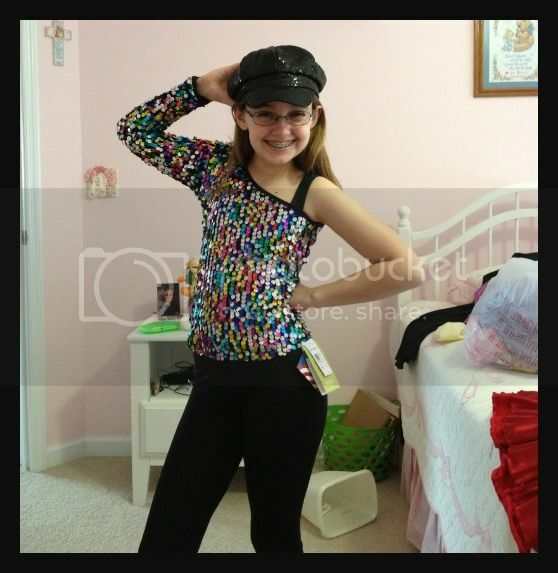 Amber started back into dance in January of 2012, after 11 months away from dance. She had taken a purposeful break after becoming burned out on competitive dance. There was no way she would have had time for school and dance in her parochial school. Amber doesn't function well in a rushed and busied environment. Something we knew, but didn't fully understand until later in 2012. We did know that she benefits greatly from dance classes and excels at dance. We hadn't even informed her school that we would be removing her before Amber was asking to return to dance. We were greatly blessed in the studio that we found for her. It was the best possible choice we could have made in this regard. She has gone back into dance with a dedication I never could have imagined when she was 3 years old in her first ballet class. 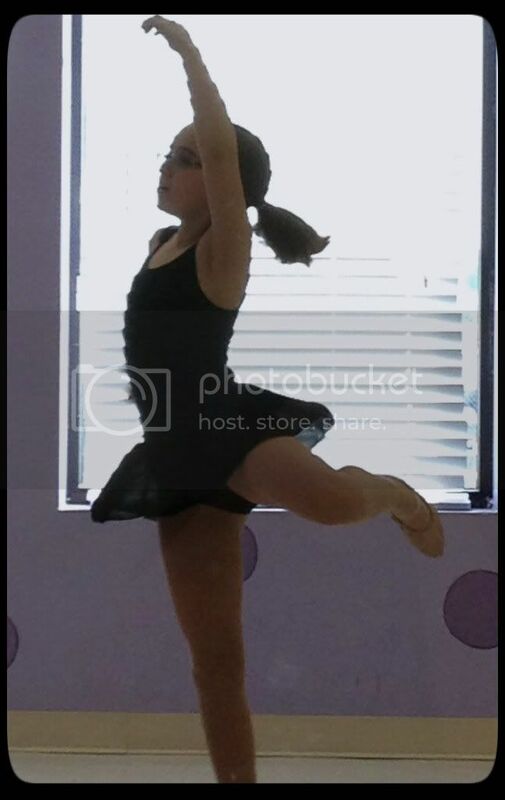 This coming semester she is taking (big breath): lyrical, jazz, contemporary, ballet (pre-point), tap, leaps & turns, and private lessons for her solo. Wish us all luck. The blessings of homeschool have been so many too. It has allowed us to lower Amber's stress level significantly and put the joy back into learning for her. We have structured curriculum and lesson plans, but make time to delve deeper into topics that interest Amber. We spent nearly a month on the Civil War. During which time we went to the MO History Museum to see the special exhibit and traveled to Springfield, IL to spend a weekend learning about Abraham Lincoln. We watched miniseries and movies on the Civil War, that were not entirely historically correct, but definitely gave us the feel of the time period. Amber began studying Latin almost as soon as we started homeschooling. This was her request and while her initial enthusiasm has waned some, she still enjoys it and works diligently at her lessons. Because of homeschooling, Amber and I both were able to spend a lot more time with my dad in the early part of the year. We held school at my parents house once a week so my mom could run errands and visit her own doctors. Little did we know then how precious that time would become to us. The late Spring and Summer of 2012 were quite stressful and heart wrenching for us all. Fred surprised us all Mother's Day weekend when he had an life threatening episode where most of his organs shut down as a result of adrenaline from an unknown adrenal gland tumor. It was a long month in the hospital, but eventually we all came through and were home together. While this was an awful event, it wasn't without benefits. During that month, Amber spent the majority living my parents, while I lived at the hospital with Fred. I'm not sure who enjoyed it more, Amber or my parents. My dad was able to give Amber undivided attention like never before. He imparted to Amber his wisdom, unfailing faith, and strength of mind that sustained my little girl through the worst time in her life. We all were able to witness God's miraculous powers and unfailing love in Fred's unexpected and complete recovery. Then, we saw God take my beloved Daddy home and relieve him of his earthly pain. Later in the summer, Amber's long controlled sensory problems again came to the forefront. We sought help from specialists and Amber was formally diagnosed with Sensory Processing Disorder. She now has weekly sensory therapy that has been helping her immensely. Thankfully, we were made aware that her problems were not as well controlled as we believed in time to help her. We also learned how much anxiety Amber feels on a daily basis. She was diagnosed with anxiety disorder, like her mother and grandfather. Due to the stress from her Lutheran school and the family medical issues, Amber no longer allowed herself to feel most emotions. They just caused too much anxiety. She began therapy with a child psychologist who helped us all work through Amber's repressed emotions and taught us coping strategies for her anxiety. Amber has graduated to infrequent checkups with the therapist and now is a much happier person. Costume for her first solo dance! A long awaited time in dance. While I wouldn't want another year of such stressful events, it did help us understand Amber's "highly complex" personality better and resulted in a happier child than she would have been otherwise. We also received some much needed support over our decision to homeschool. The therapist couldn't have been happier about it and recommended Amber not return, ever, to her previous school. During 2012 Amber and I have both made numerous new friends, both in our community and online. The friends we have made in the online homeschool community have been inspiring and unexpected. We have been blessed by their support and inspired by their experiences. This year Amber also fulfilled one of her unspoken dreams. She started taking voice lessons in September. It was a small thing really, but made her so happy to express that desire and to go through with the lessons. She is moving on this next semester to musical theater class instead of voice lessons, at her own request. I am so proud of her for pursuing activities she enjoys without the fear of failure she would have felt a year ago. We are finishing off the year in a better place, emotionally, than we started the year. While we acutely miss my dad, the lessons and experiences of 2012 have truly been a blessing. I pray that 2013 can be an equally blessed year, without as much tragedy. Christy I just loved reading this! What a year you have had! So of it wonderful and some of it heartbreaking. Amber is such a beautiful, talented girl and I am so blessed to have met you and gotten to know you both. I did a 'looking back' post too and realized that while our year was hard at times we have been incredibly blessed. YOU and your family was a huge part of that blessing. Happy New Year friend! I saw you comment on Karen's blog and I thought i would hop over and say hi. My oldest daughter has issues with anxiety, too, which was one of the big reasons that we chose to homeschool. It's been a few years for her now and while I see no issues with anxiety, I do wonder what will happen when she goes to college or goes to get a job...but for now I just pray that we can get her strong enough that those things won't affect her too much. I am so sorry to hear about your father, but it was so beautiful and touching that he got to help your daughter through such a difficult time. I am sure those are memories she will never forget and she will always keep what she learned from your dad close to her heart. Best wishes for you and your family for 2013.